Winter Solstice is here! The earth keeps turning! At least, we hope so. Again, it's that time of year, when those of us in the Northern Hemisphere are trapped in what feels like never-ending darkness. From all of us at 6630 Productions, we have a Yule gift for you. You've been good to us. You deserve it. 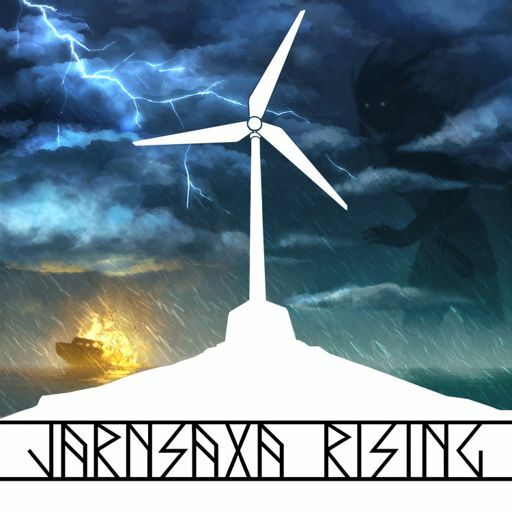 Here's almost half an hour of Jarnsaxa Rising's behind the scenes moments, bits of our creative process, moments that had to be cut for time (what else was in Mr. Wallace's trophy case?) , and moments of giddy hilarity. Vince said that he hopes that this is as much silly fun as the blooper reel at the end of a Burt Reynolds movie. Let us know what you think. We hope to hear from you. Whatever holidays you celebrate, enjoy, and may your new year be bright!